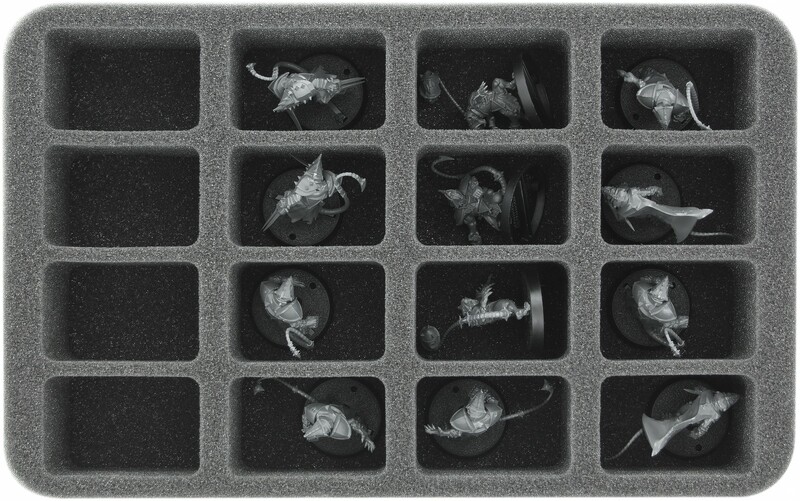 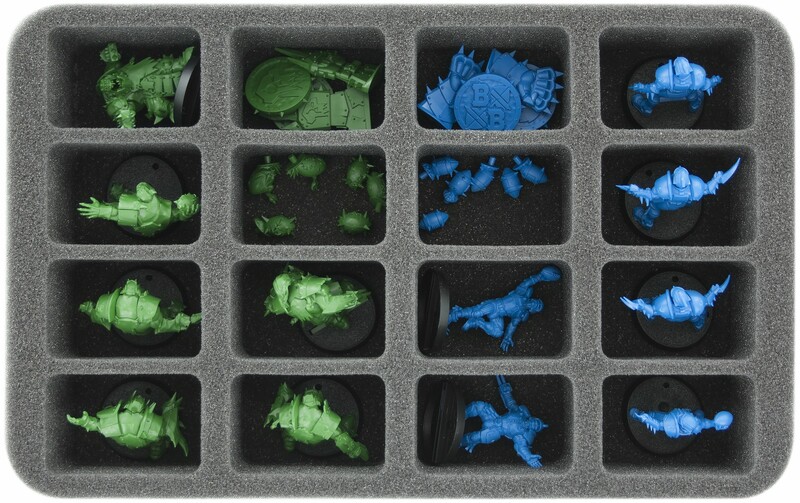 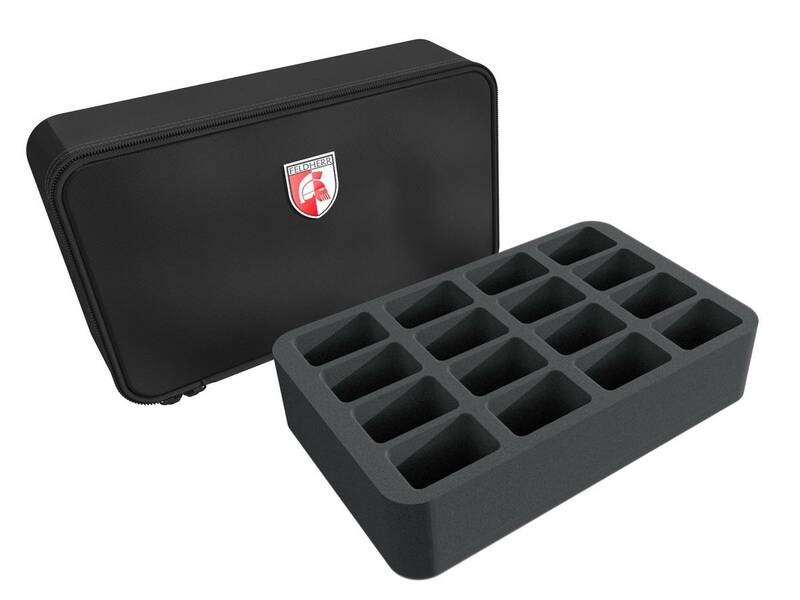 Feldherr MINI case for Blood Bowl 2016 and other Fantasy Football miniatures with 32 mm bases. 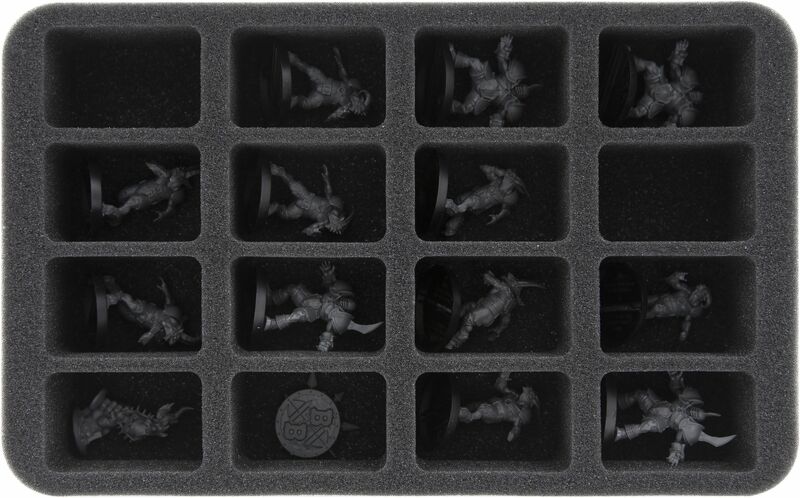 The bag is ideal for transport a Blood Bowl team. 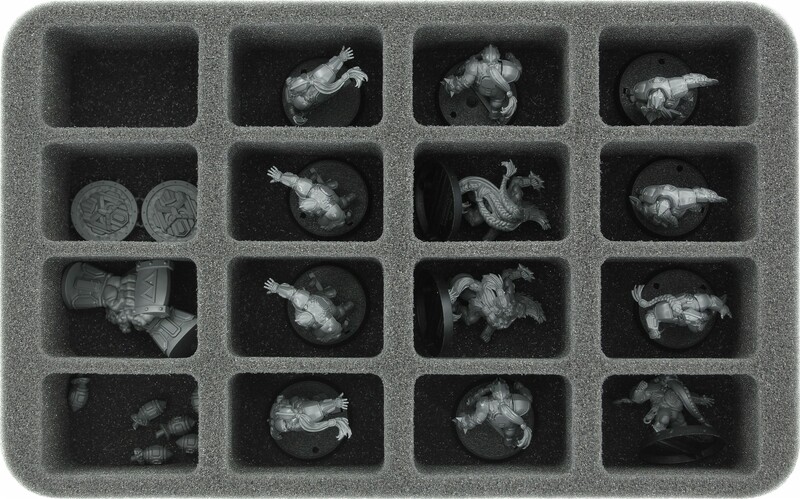 It fit exactly 16 miniatures in the bag.